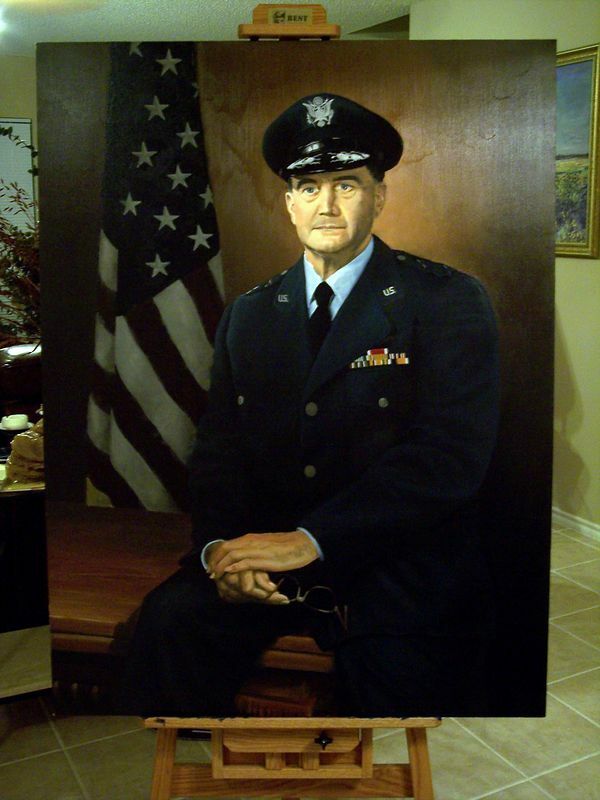 This an oil portrait 40 X 30 on linen of Maj Gen Wilford Hall that is the new dedication portrait for Wilford Hall Medical Center that hangs in the front entrance. It took me longer than I would have liked, but mix a 5 month deployment, the time it takes oils to dry and all life throws your way - a year goes by. Close to completion, but detail still needed in the buttons, ribbions, and flag.